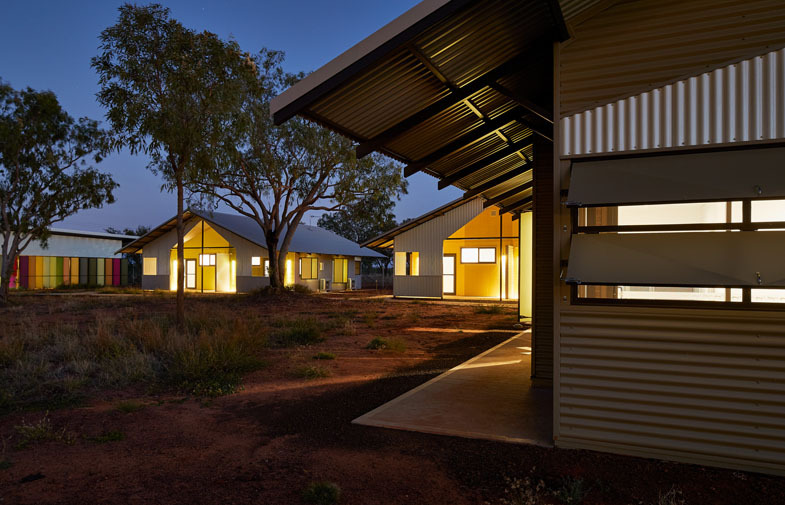 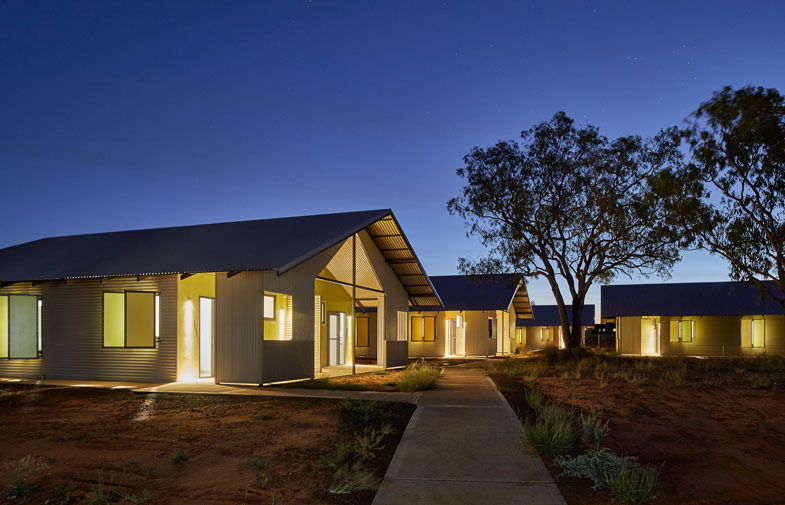 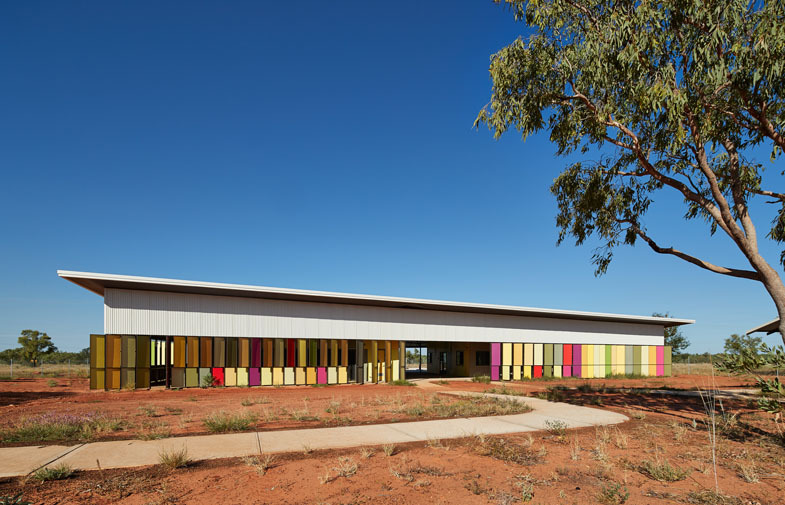 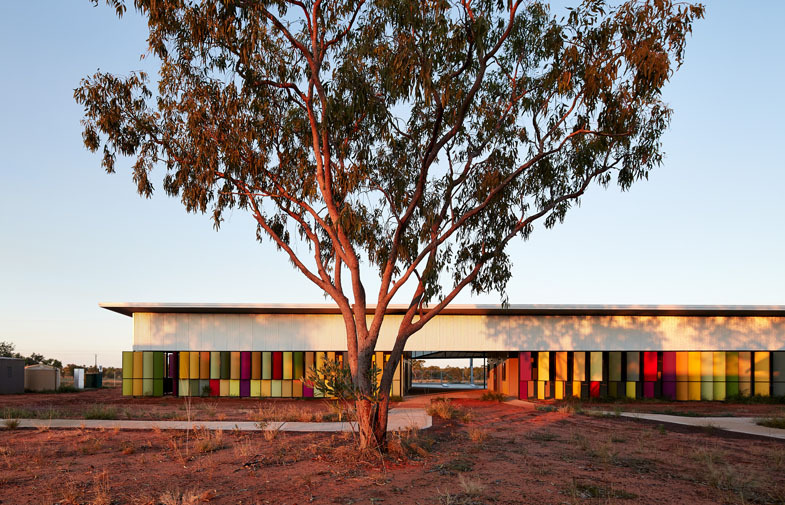 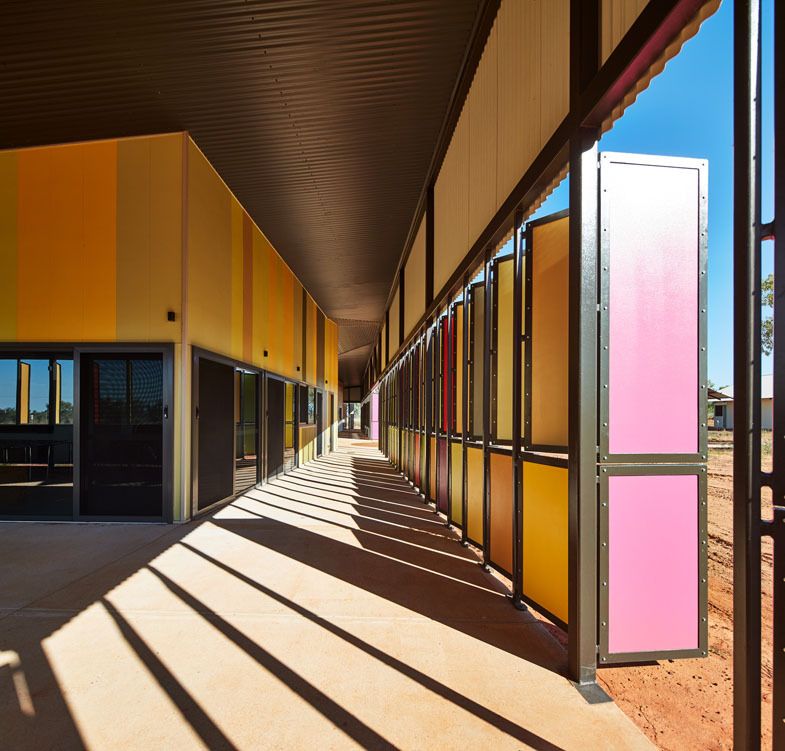 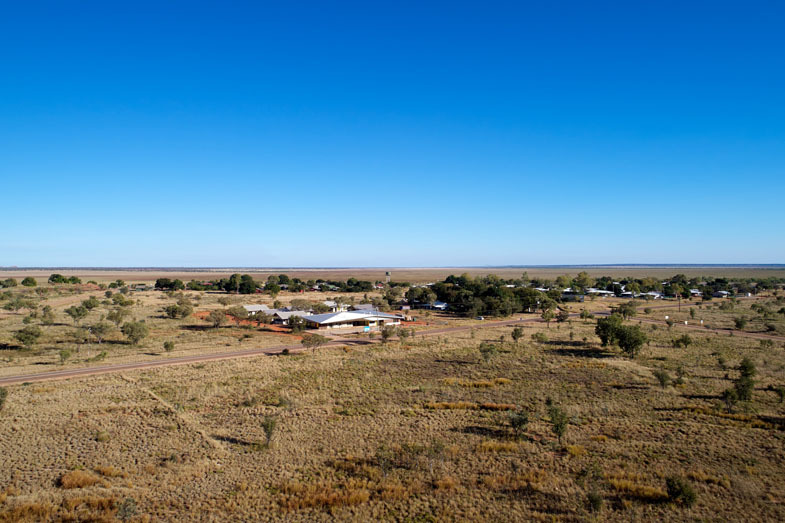 The Fitzroy Crossing Renal Hostel provides a long term accommodation facility for Aboriginal people from outlaying communities receiving renal dialysis. 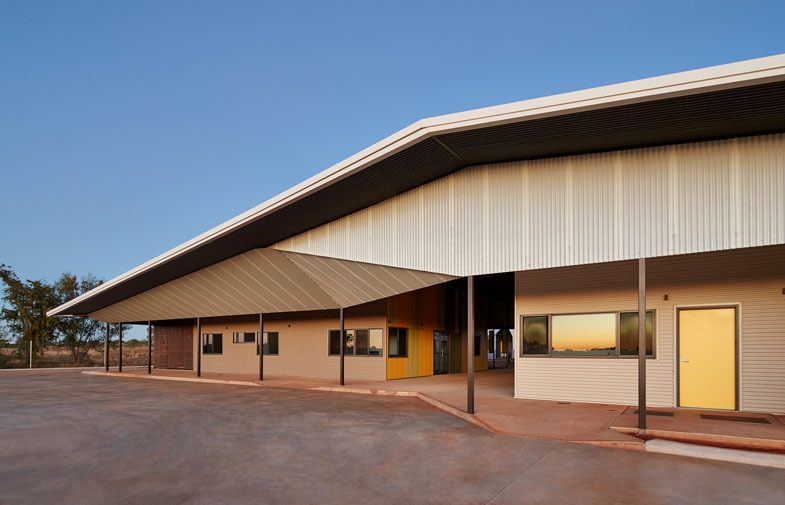 The facility should humanely support the needs of the residents, who will need to be self sufficient and independent OR may have a carer living with them. 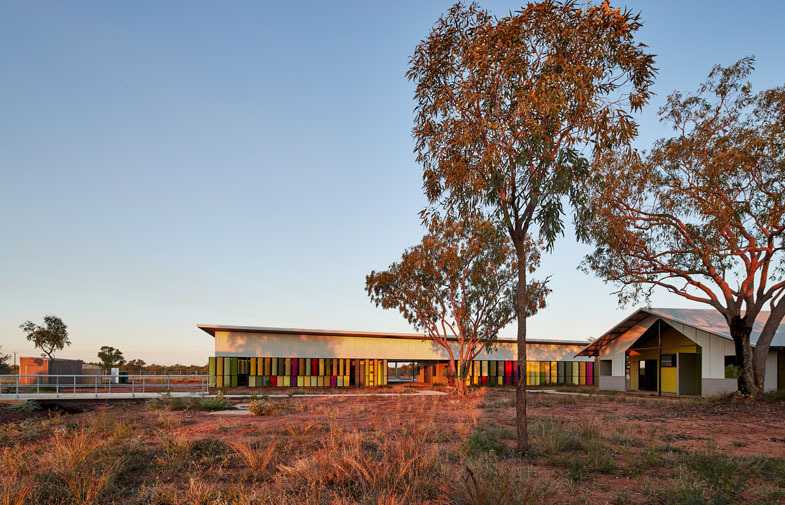 It provides a safe environment to wander and gather with occupants, family, friends and the community. 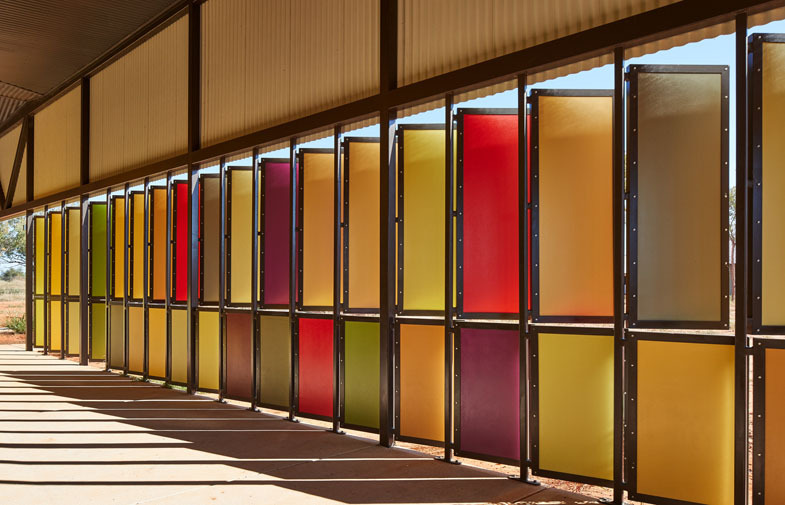 Light is filtered and coloured by screens responding to various scales of gathering.